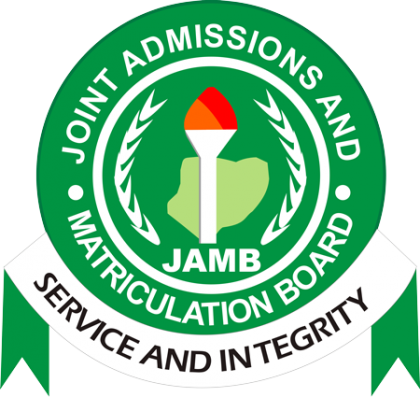 The Joint Admissions and Matriculation Board (JAMB) says it has yet to release cut-off marks for placements into tertiary institutions for 2017 academic year, contrary to speculation by some Nigerians. He said that the policy committee meeting responsible for the determination of cut-off marks had not met. According to him, it is in the best interest of candidates and other critical stakeholders to jettison cut-off marks for the various courses that are currently being paraded. `”We want to appeal to all candidates to jettison such speculations and engage themselves in more meaningful ventures that would add value to their future,’’ he said. Benjamin said results of the just concluded 2017 Unified Tertiary Matriculation Examination (UTME) had since been released, with a few others still being previewed. “”We want to appeal to Nigerians to understand that such candidates whose results are being previewed may not necessarily have participated in any malpractice. “But rather, centres where they sat for the examination had issues during the conduct of examination. “”These issues were reflected on the CCTV footage and this suggests why they must be carefully investigated before releasing such results,” he said. According to him, a very disturbing and unfortunate case is that of a school in Abia where cables were seen to have been connected secretly to a distant hall for hired mercenaries to write for candidates. “This is very unfortunate given the fact that the school is a missionary school and supposed to be a leading light against such vices. “But, rather, it was conniving, supporting and indeed championing the evil course of examination malpractice,’’ Benjamin said in the statement. He said such results would be treated in accordance with the provision of the law. According to him, a task force has been inaugurated by the Registrar of the board, Prof. Is-haq Oloyede, to look into all such issues and has since concluded the review of the CCTV footages and other evidences presented. He said that the task force would forward its reports to the appropriate quarters for the scrutiny and onward release of all remaining results. “We urge candidates to note that no result will be withheld without a cogent reason as this explains why we are taking time to ensure that those who are innocent are exonerated. “Again, candidates are advised not to patronise any centre, office or shop for any service; please visit our offices in all the 36 states of the Federation and FCT for any complaint, enquiry or assistance. “This is also because our attention has also been drawn to an illegal centre being operated near our Ikoyi Office in Lagos with the aim of defrauding innocent candidates. “This centre collects all kinds of fees in cash for services that are even free. The general public should note that payments for any of our services are done via our TSA account with CBN and not cash.